Smart is cool and education is exciting as science nerds become self-made superheroes in Disney’s latest animated feature, Big Hero 6. Fourteen-year-old Hiro Hamada is a robotics genius who, having lost his parents when he was very young, is wasting his prodigious talent hustling people at underground bot-fights. After an inspiring visit to the laboratory of his equally brilliant brother Tadashi at San Fransokyo Tech, Hiro is determined to gain entry to the university and study under the legendary Prof. Callaghan. But there is an accident at the university expo, with a fire taking the lives of both Tadashi and Callaghan. However, despite losing his brother Hiro is not alone. Tadashi has left behind Baymax, a giant, inflatable, robotic Personal Healthcare Companion he designed, and Baymax becomes Hiro’s carer and friend. When Hiro spots a mysterious man in a Kabuki mask using microbots, the very invention Hiro had been displaying at the expo on that fateful night, he starts to suspect that foul play may have been involved in the fire. After a few strategic upgrades to Baymax, Hiro and Tadashi’s friends set out to get to the bottom of what really happened. Welcome to the new world of Disney. 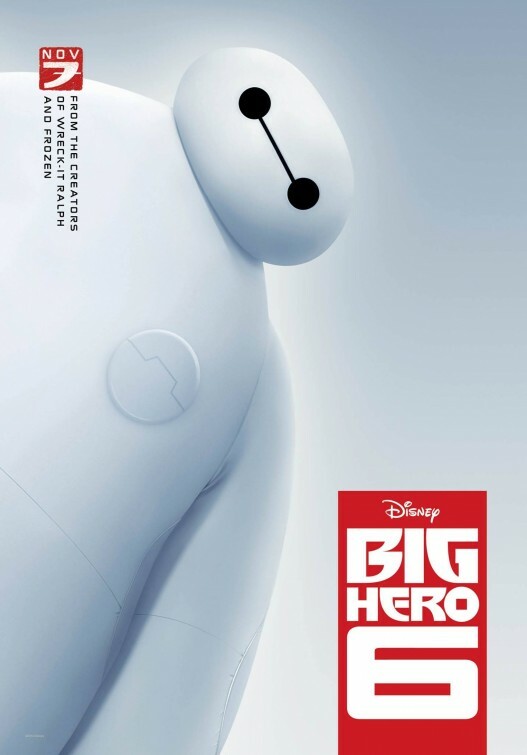 Big Hero 6 is based loosely on an obscure Marvel Comics property, with the acquisition of Marvel Entertainment by Disney in 2009 having paved the way for Disney to bring it to the screen. There is even a fun little variation on the Stan Lee cameo that fans keep an eye out for in Marvel Studios movies. Similarly, while Big Hero 6 is not technically a Pixar film, John Lasseter is credited as an executive producer and the fingerprints of Pixar are all over it. While it might appear that Big Hero 6 is Disney’s attempt to get into the lucrative superhero franchise game, the film doesn’t play that way. In fact, the film is at its least interesting towards the end when it closest resembles a straight up superhero story as the team battle the villain in order to rescue the city. As such, Big Hero 6 doesn’t really leave you salivating at the prospect of a sequel. It stands alone as a film. You don’t wonder what happens next to this team of heroes because the film is not about them. This touching film is simply about a boy and his robot. With our hero starting out as an orphan and then losing his only sibling early in the film, Big Hero 6 takes us into pretty dark territory. But so many of the best children’s movies, particularly the best Disney movies, aren’t afraid to get a little bit dark. Beneath all the flash, fun and humour, this is a film about grief and loss and how a young boy processes it, working out what is harmful and what is helpful in dealing with his emotions. In wrestling with these grown-up concepts, Big Hero 6 refuses to talk down to its target demographic, trusting in the capacity of kids to understand what is going on. As we have come to expect from Disney, Big Hero 6 is visually very impressive. But while the eyes of young viewers will be drawn to the adorably marketable Baymax and the super suits of the hero team, arguably the most impressive element of the film’s design is in the background: the city of San Fransokyo itself. A most impressive blending of the American and the Asian, reflective of the blending of the influences at play in the film, the city manages to be at the same time visually recognisable as both San Francisco and Tokyo and is a unique presence in the film. Over the last few years Disney seems to have made a strategic decision to bounce back and forth between a movie for the girls and one for the boys. Tangled and then Wreck-It Ralph. Frozen and now Big Hero 6. While this animated superhero team falls more in the ‘one for the boys’ column, like Frozen before it, there is more than enough here – particularly in the form of Baymax – to appease both sexes. Have you seen Big Hero 6? Leave a comment and let us know what you thought. Caught NZ comedy @thebreakerupperers at @sydfilmfest and it really hit the spot. Gets a general release in July and it’s well worth a look. Prepping for The Man Who Killed Don Quixote at @sydfilmfest by catching up on Lost in La Mancha. Saw @iamnotyournegro at @sydfilmfest last year and it blew me away. Showed it to my students today and it did the same to them. No #royalwedding for me. I opted for Paddington 2. I won. Chungking Express, a sweet film about home invasion.